Have you ever wondered why people born under the same zodiac sign are so different in their nature? We know that all people with their sun in Aries are not the same. It takes the whole birth chart to determine the nature of an individual. The ancient astrologers knew this and divided each zodiac sign; modern astrology has taken the divisions further. We divide the signs by their elements, qualities and by the positive (masculine) and negative (feminine) expression. There is another method used to divide the signs and determine rulership, by using the Triplicities. This division is called the decanates. Is it necessary to know the decanates? Sometimes. Sometimes it completes the story, other times it helps to pinpoint the nature of activity going on in the subject’s life. The decans and rulers are worth investigation and have proven effective in predictive astrology, especially in the progressed horoscope. The ruler of the decan of the rising sign in the progressed chart has a great deal of influence over the whole life, for the time in question, particularly if there are any aspects made by that ruler, or if the planet is strong in the natal chart. The influence of the decan is often similar to the conjunction. Each zodiac sign governs 30 degrees of the natal chart. Twelve zodiac signs at 30 degrees each constitute the complete natal chart encompassing 360 degrees. Each sign is divided into three divisions of 10 degrees, each sign has 3 decans, one for each division of 10 degrees. Each decan has a ruler which becomes the sub ruler of the sign or the co-ruler of that sign. Once you are familiar with the Triplicities (Fire, Earth, Air, Water), it will be easier for you to determine the sub-rulers of each decan. Each decan of a sign will be in the same triplicity as the sign itself. They are arranged in the same order as they appear in the zodiac. The first decan of Aries is Aries, ruled by Mars. The second decan is Leo, ruled by the Sun, the next fire sign in the zodiac. So the second decan of Aries is ruled by the Sun. The third decan of Aries would be the next fire sign after Leo, which is Sagittarius, ruled by Jupiter. Each decan is of the same Triplicity - the fire element. The first decan of Taurus is Taurus, ruled by Venus. The second decan of Taurus is Virgo, ruled by Mercury. The third decan of Taurus is Capricorn, ruled by Saturn. Each decan is of the same Triplicity - the earth element. Aries of First Decan: March 21st - 30th, 0° - 10°, ruled by Mars. The first decan of Aries influenced by Mars is the pioneering and energetic decan above all. Very often these people are characterized by a childlike innocence which is quite endearing, and they have a real ability to excite people around them. They want to live in the fullest sense of the word, be it in danger and adventure or through some more introspective exploration. Always with great enthusiasm. 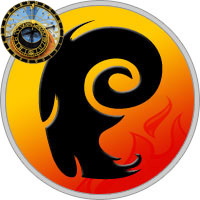 Aries of Second Decan: March 31st - April 9th, 10° - 20°, ruled by Sun. The second, Leo decan of Aries with rays from the Sun pictures a very noble individual whose principles, aims and ambitions remain intact in the most trying circumstances. They are single mindedly focused, yet can retain the big picture. Ego can be a problem here, and the general self-righteousness of Aries has acquired a dash of pompousness too. While these are not always apparent traits, there is somewhere quite a reservoir of smugness and self-celebration. Aries of Third Decan: April 10th - 20th, 20° - 30°, ruled by Jupiter. The third, Sagittarius decan of Aries with rays from Jupiter is a bold and brash one, that is more restless and eager to finish than even the first decan. Here we have the intellectual enthusiast, and individualism is very strong – this person will do much to avoid becoming a victim of herd mentality. They are very independent and will never succumb completely to the demands of the lover or companion. Taurus of First Decan: April 21st - 30th, 0° - 10°, ruled by Venus. The first decan of Taurus, influenced by Venus produces a very determined, sensual and stable person. This person is a peacemaker and lover, yet is very unlikely to be flexible to the values and ideas if others. They excel in any area they can truly make their own, but have trouble adjusting and will not easily find rapid new ways of learning. Sexuality and indulgence of the senses is at the core of these people’s life. Taurus of Second Decan: May 1st - 10th, 10° - 20°, ruled by Mercury. The Virgo influenced second decan Taurus people often have a great sense of tact, and an incredibly fine tuned sensory apparatus. Careful in speech and musical in voice, they can be a quiet charmers, seemingly shy but unlikely to pass up what they set their minds to. There is grace, and more flexibility than Taureans in general. However, they can also bore people with a sometimes overly realistic and pragmatic world view. Taurus of Third Decan: May 11th - 21st, 20° - 30°, ruled by Saturn. Saturn’s third decan Taureans are the great builders of their time. They can be stern and sometimes outright boring, but are completely loyal and steady as rocks. Once you get past their somewhat austere exterior, they turn out to be humourous and sensual with a love of the good things in life. These Taurus are some of the most disciplined in all of the zodiac, and typically carry out every task and objective with great prudence, care and patience. Gemini of First Decan: May 22nd - 31st, 0° - 10°, ruled by Mercury. First decan Geminis are observers and curious seekers, always ready to be distracted by a marvelous scenery, an interesting thought or entertaining conversation. Typically intelligent in a rapid, logical and detached way, they are still sometimes at loss in applying their fine minds to deeper thought or powerful, systematic reasoning. Gemini of Second Decan: June 1st - 10th, 10° - 20°, ruled by Venus. The second, Libra decan of Gemini with rays from Venus is a curious seeker of beauty and comradeship. They are truly people’s people, and will sacrifice much for an hour of great conversation. Since they are more likely to become entranced or find value in unexpected things, and tend to be at least mentally empathetic, they can usually keep themselves at bay and aren’t as restless as the first decan Geminis. Gemini of Third Decan: June 11th - 21st, 20° - 30°, ruled by Uranus. The third decan of Gemini is the most detached and unemotional, yet most humanitarian of the Gemini decans. These people are great with concepts and ideas, and relates to every kind of person easily with their sociable and friendly attitude. They soak up knowledge of every kind and seek a combination of breadth of learning and some personal vision. Cancer of First Decan: June 22nd - July 1st, 0° - 10°, ruled by Moon. The first decan of Cancer is the fruitful mother earth decan. Women born in this decan tend to give an emotionally "tangible" impression. Both sexes seem very authentic in character while also incredibly sensitive. ”Heart” is a keyword in their life and everything they do. The care and tend to the people close to them with unending energy and compassion, but demand great loyalty from friends and lovers alike. Very jealous. Cancer of Second Decan: July 2nd - 12th, 10° - 20°, ruled by Pluto. Very deep feelings, seemingly bottomless, is typical for these second decan Cancers with Scorpio doing some of the influencing. They are reserved and may act unapproachable, to the degree that they seem almost devoid of emotion. The complete opposite is true. With a partner they are very possessive but incredibly giving and willing to sacrifice themselves. They have great instincts and make wonderful psychologists, counselors or detectives. Cancer of Third Decan: July 13th - 22nd, 20° - 30°, ruled by Neptune. The Pisces decan of Cancer may be the most sensitive decan of all 36 in the zodiac. As sensitive to the needs of others as they are regarding their own feelings, they can be truly tireless helpers and nursers of their close environment. 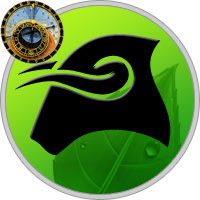 At the same time, the moodiness that typically strikes Cancer children is even more pronounced here, and their feelings change faster than clouds, without any rational explanation. Leo of First Decan: July 23rd - August 1st, 0° - 10°, ruled by Sun. Big Leo sun number one, at least that’s how many of these first decan Leos see themselves. Yes, there are tons of Leos with humility and detachment, but we are concerned with the majority. These folks are naturally self-reliant and have a sort of warm, satisfied presence. On the other hand, they have sensitive hearts and egos, and are completely dependent on the approval of others. Leo of Second Decan: August 2nd - 12th, 10° - 20°, ruled by Jupiter. These second decan Leos can be quite traditional and conservative, at least when it comes to values and beliefs. They tend to respect religion and academia and have great spiritual yearning for discovery and knowledge. Here is a sense of having the Midas touch, for Jupiter brings luck and zeal to the prominence of the Leo sun. These people can be gamblers in the real sense of the word – risk takers at every moment in life. Leo of Third Decan: August 13th - 23rd, 20° - 30°, ruled by Mars. The third, Aries decan of Leo with rays from Mars is one of the most ambitious and chivalrous of all decans. Sometimes these people will drive others crazy through their simple self-righteousness and stubborn refusal to admit a mistake. But they are typically heart-of-gold characters, intent on playing their cards face up and being frank and honest with world. There is real drive in these people, whether obvious or hidden within, and their sheer optimism can carry them through difficult times. Virgo of First Decan: August 24th - September 3rd, 0° - 10°, ruled by Mercury. The first, Mercury decan of Virgo is the best example of the extremely varied Virgo type, that seems to lack any clear uniting principle. First decan Virgos tend to be unassuming, yet some are constantly talking and bragging. They tend to be fussy and orderly, yet many turns this idea around by their bohemian exterior and messy homes. Virgo of Second Decan: September 4th - 13th, 10° - 20°, ruled by Saturn. Second decan Virgos are usually quite materialistic, without any great desire for luxury. 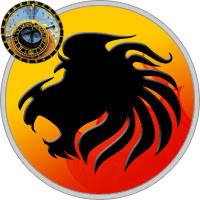 Security is at the forge, and they have great organizational and general money-making ability. And they don’t spend money recklessly. They are responsible, tactful and great administrators of the affairs of men, but can become quite one-sided and lacking in perspective. While Saturn betters the ability to see the big picture and strengthens the sense of ambition, it also lessens the flexibility and adaptability. Virgo of Third Decan: September 14th - 22nd, 20° - 30°, ruled by Venus. Many third decan Virgos have a downplayed but considerable artistic sensitivity. Especially when it comes to materials; shape, colour and form. Perhaps they are amateur painters. Or professionals. Or skilled musicians, steadily building a technical mastery of their instrument. They are slow burners and learners. Steady, quiet and reserved, and usually don’t talk unless they feel it is important. They are great dressers and have a generally fine sense of style. Libra of First Decan: September 23rd - October 3rd, 0° - 10°, ruled by Venus. The first, Venus decan of Libra produces the most peace-loving aestheticians in the whole zodiac. These people need to come into contact with the finer things in life, and they are highly aware of every imaginable sort of relation to their fellow men and women. That said - in spite of their strong You-orientation, they can and will at times become very unbalanced and quarrelsome. It is a great dilemma in the lives of first decan Libras how much to rely on other people, and on the other hand how much to go on their own. Libra of Second Decan: October 4th - 13th, 10° - 20°, ruled by Uranus. The second, Aquarius decan of Libra with rays from Uranus/Saturn might be termed the ”deep” Libras. They are immersed in the working of the human mind, and very fascinated by the themes of social interaction. They are often drawn to higher learning in the most abstract sense. Romantically, they can be paradoxical - while they strive to find the perfect relationship where everything is shared, time tends to reveal that they need a whole lot more space and solitude than they imagined. Libra of Third Decan: October 14th - 23rd, 20° - 30°, ruled by Mercury. The decan of Libra with rays from Mercury is the most restless of Librans. The natural polarity and ambivalence of Libra, especially romantically, is heightened here. They may live their entire life in search of the elusive, perfect romance. Gemini decan Libras are great with people; intuitive and highly logical, this is one of the most versatile of all decans in the zodiac. They can charm the beard off a Rabbi. They live for communication, and more than others. 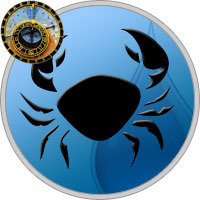 Scorpio of First Decan: October 24th - November 2nd, 0° - 10°, ruled by Pluto. The first, pure Scorpio decan of Scorpio influenced is the intensity decan above all. Dramatic feelings of either approval or rejection strike the hearts of these people at the very moment they encounter something new, and they seldom let reason change their mind. For these people, all experiences will in some way relate to the highs and lows of life; pain, joy, death, love and general mesmerization. They can be cool, collected and seemingly unaffected on the outside, yet beneath is a steaming locomotive of feeling, purpose and desire. 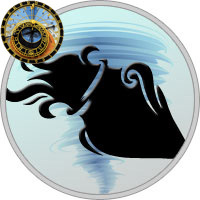 Scorpio of Second Decan: November 3rd - 12th, 10° - 20°, ruled by Neptune. The second Pisces decan of Scorpio gives subtle minds and a plethora of all feelings imaginable. These people seek what is real and authentic, and will sacrifice worldly comforts and prestige for what they believe in. Cunning and mysterious, they will not hesitate to manipulate people if necessary. They’re very romantic and seductive, and thrive in an atmosphere of hidden meanings and elusive hints. Scorpio of Third Decan: November 13th - 22nd, 20° - 30°, ruled by Moon. Here in the third and last lunar decan of Scorpio the influence will produce people of great emotional integrity, trusting every feeling they have and seldom willing to compromise, at least against any cold dead reason. They have great drive and will power if they believe in a cause, and can overcome potential feelings of inferiority. At heart they want dramatic emotional transformation, and a partner to connect with intimately and deeply. Sagittarius of First Decan: November 23rd - December 2nd, 0° - 10°, ruled by Jupiter. 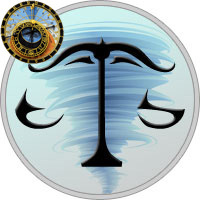 The first Jupiter decan of Sagittarius is typically the non-conformist who goes on to become a respected citizen with academic or social responsibility. These people are adventurous, positive and very direct. In fact rather tactless. They’re lovers of action but more than often have high intellectual, political or artistic ambitions. They are sweeping, broad learners and youthful, eternal students. Yet might also be the dogmatic teacher or preacher. Sagittarius of Second Decan: December 3rd - 12th, 10° - 20°, ruled by Mars. This second, Aries decan of Sagittarius completely needs challenge and discovery, and may the be the most naturally frank and lacking in artifice of all zodiac decans. Headstrong and brave, they quickly lose interest in whatever fails to inspire them. If these people aren’t sports-people, they probably have some other similar channel for the release of their great spiritual-physical energy. They are the perfect example of the soldier of the mind and spirit, if there is such a thing. 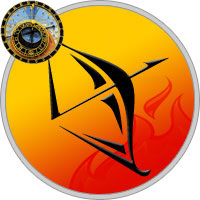 Sagittarius of Third Decan: December 13th - 21st, 20° - 30°, ruled by Sun. Here in the Leo decan of Sagittarius we have the showman or woman, one who is always on the lookout for another adventure or spontaneous experience. Their integrity and pride is great, and still they seem to always stumble into the pitfalls of excessive risk-taking, rash decision and impulsive action. Quite a few gamblers have Sagittarian/Leo influences. They need to aim far and high, and will beyond any doubt experience many great letdowns in life, because of the sheer magnitude of their ambitions and dreams. Capricorn of First Decan: December 22nd - 31st, 0° - 10°, ruled by Saturn. The patience and determination of first decan Capricorns is legendary. They aren’t nearly as self-confident as people think, but their sheer hardiness and capacity in all endeavours is unmatched. They are the real pillars of strength to lean against when the winds become storms. While sometimes dictatorial and always to some degree inflexible and rigid, they are sweet at the core with a great sense of humour. They’re practical and realistic, with little time for whims and fantasy. 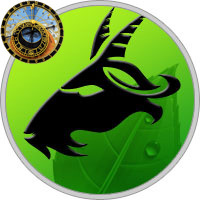 Capricorn of Second Decan: January 1st - 10th, 10° - 20°, ruled by Venus. The second, Taurus decan of Capricorn is very patient and hard-working, but will not forsake relaxation and the finer things in life for accomplishment. They may be artistic, and if they feel they have the talent, will go about exploring it in a quiet, whole-hearted way that compensates for their slow intake of new experiences. These people feel that if something is to be done, it must always be done properly and to the bitter end. Capricorn of Third Decan: January 11th - 20th, 20° - 30°, ruled by Mercury. Being born under the Virgo decan of Capricorn is a mark of a certain restlessness, and a great desire for functionality and effectivity. While far from impulsive daredevils, they lack the significant patience of the first two Capricorn decans. Administrative ability is at it’s highest here, and these Capricorns have great practical intelligence and organizational skills. It’s an indication of a scientific mind, seeking empirical evidence. Aquarius of First Decan: January 21st - 29th, 0° - 10°, ruled by Uranus. The first decan of Aquarius is one of complexity and individualism. These people are free-thinkers and non-conformists, with a high moral consciousness and the desire to benefit the community. In spite of being highly socialized and group-oriented, they can long for solitude, and be sombre in mood and easily depressed while displaying a joyful exterior. You’ll almost never find one of these people simple - even with limited education they manage to seem insightful, impartial and reasonable. Aquarius of Second Decan: January 30th - February 8th, 10° - 20°, ruled by Mercury. 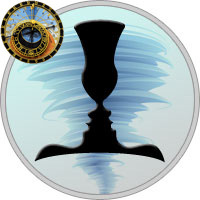 The second, Gemini/Mercury decan of Aquarius the nature is a bit lighter in spirit but also lacks staying power. Extremely alert and bright, they can be cultural, artistic or scientific chameleons, soaking up and interpreting ideas and manners of others with ease. Abstract theory appeals to them, and they’re fascinated by the invisible powers behind social interaction and communication. Some people may find them insensitive or too mentally oriented, since they may be at loss relating in others ways than the purely intellectual. 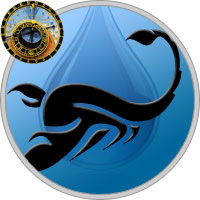 Aquarius of Third Decan: February 9th - 18th, 20° - 30°, ruled by Venus. Libra decan Water-bearers are refined characters. While they may lack depth of emotion, they are extremely good with people. Appealing to crowds, they make fine statesmen/women and politicians. They care about other people’s insides and are highly idealistic and humanitarian, constantly involved in some cause for the bettering of whatever they believe in. These people can exhibit much grace and style, and are well-suited for the world of fashion. However, they can be mentally narcissistic. Pisces of First Decan: February 19th - 29th, 0° - 10°, ruled by Neptune. First decan Pisceans wander through life like soap bubbles – open to every sensation and experience, elusive and sensitive. They are mystically inclined and frequently psychic or at least highly intuitive. They care little for money, but love beautiful things and comfort, and so may need it anyway. That is if they don’t become monks, forsaking every thing and resisting every passion and worldly craving. They aren’t very self-assertive and their lack of ego can make people take advantage of them. Pisces of Second Decan: March 1st - 10th, 10° - 20°, ruled by Moon. The second, Cancer decan of Pisces with rays from the Moon is the most prudent and economical of Pisces decans. These Pisceans need security both financially and spiritually and tend to worry too much about everything. They are also one of the sweetest and most loyal of all decans in the zodiac, sacrificing themselves for loved ones without so much as a thought to what they are doing. However, they can also become complaining or perhaps leeching individuals, hypochondriacs and generally over sensitive. 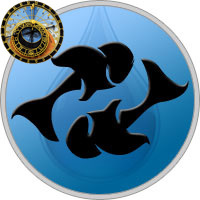 Pisces of Third Decan: March 11th - 20th, 20° - 30°, ruled by Pluto. Third decan pisceans may have their heads full of bizarre ideas, but they somehow manage to rationalize and sublimate all of them. They are highly spiritual and poetic. For less hardy exemplars it is sometimes too much to take. Often these fishes are paradoxical, and typically more vindictive and jealous than other Pisceans, who don’t seem to have a drop of bad blood in their body. Third decan Pisceans are highly receptive and sensitive but perhaps less so than the other decans. The principle of Decans can be applied to any of your planets or other points in your horoscope - so explore the terrain and have fun discovering just how unique your birth chart truly is! Let’s say your Venus is in Virgo at 12 degrees. Virgo is an Earth sign and the degree would fall in the second Decan which, when we follow the natural zodiac, brings us to Capricorn. Mercury rules Virgo and Capricorn is ruled by Saturn. Suddenly we can see how this Venus placement has both qualities to it and that may explain why, if you have this Venus placement, when it comes to love you’re more conservative and logical than most. 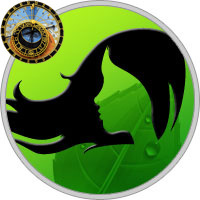 In matters of money you might be an incredibly astute business person with this Venus placement! The Capricorn flavor as a co-ruler to your Venus in Virgo offers valuable additional insights.